On the subject of vaccines, medical opinion is widespread and settled: They are among the triumphs of public-health medicine, preventing thousands of deaths every year -- not to mention millions in lost sick time and other productivity. And yet, getting a fully vaccinated populace, from infants through senior citizens, remains an elusive goal for doctors and public health officials. They blame lack of access, inattention (on the part of both patients and doctors) and a small, but outspoken, cadre of vaccine objectors for the gap. They say it’s an expensive one. “Using published studies and data, we calculated there is, conservatively -- and I do mean conservatively -- $500 million a year in direct and indirect costs” from vaccine-preventable illnesses in the state, said Joe Fortuna, vice chairman of the Michigan Primary Care Consortium. That figure includes health care, missed work and other factors. 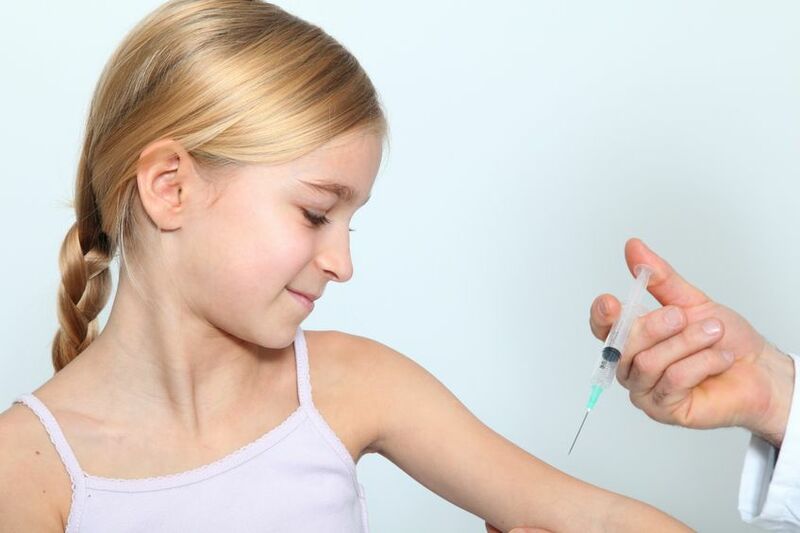 The consortium mainly concerns itself with adult vaccinations, Fortuna said, which “are more important in terms of public health.” Many adults may not be aware that not all childhood vaccinations provide lifelong immunity and require occasional boosters. Pertussis (whooping cough), for example, is a disease most adults survive, but if it is contracted by an infant before the child’s first vaccinations, it can be fatal. Health-care and lost-productivity costs associated with vaccine-preventable illnesses have a "potential impact on the economy of the state," added Fortuna, and promoting more adult vaccinations "could very well improve our image in terms of the business community. People who run big companies, they count on lost time due to flu." Some Republicans in the Michigan House, however, are looking to move the vaccination requirements in the other direction. They have filed a bill (HB 5605) to overturn the mandate for hospitals and clinics to ensure their employees are vaccinated for influenza. The Michigan State Medical Society, the advocacy group for doctors in Michigan, already has termed the bill "dangerous." Rep. Rick Olson, R-Saline and a co-sponsor of the bill, said, "I'm not a strong believer in mandatory things. If it's against someone's religious beliefs or something like that, there are people who just don't believe in things like that." The Michigan Health and Hospitals Association has not taken a formal position on the flu bill, but "would likely oppose," a spokesperson said, because the bill goes against guidelines for health workers from the federal Centers for Disease Control and Prevention. While nearly all children are recommended to have a standard panel of immunizations, the recommended shots for adults vary from person to person. Those who aren’t seeing a primary-care physician regularly may not be aware they should get a pneumonia, shingles, TDaP (combined tetanus, diphtheria and pertussis) or even flu shot. “Not all doctors, not all providers, push them,” said Fortuna. “Some aren’t covered under Medicare Part B, only Part D.” And, he added, the United States lacks the “prevention culture” other countries have, where citizens feel they share responsibility for one another’s health. They certainly don’t have it in the pediatrics ward, where a stubborn bloc of vaccine objectors has taken hold. Fueled by persistent rumors that vaccines are either ineffective or harmful, some parents are either refusing outright to have their children immunized, or else lengthening the schedule on their own terms. Diseases like pertussis are making a comeback; the state of Washington announced in April that whooping cough had reached epidemic levels there, with 640 cases in 23 counties. Health officials in California and Vermontare considering toughening their states’ opt-out provisions in part because of disease outbreaks. According to a story in American Medical News, a 2010 pertussis outbreak in California caused more than 9,000 infections, 800 hospitalizations and 10 deaths. Personal-belief exemptions from required vaccines in California have risen more than 25 percent over a two-year period. Still, Michigan scores well in comparison to the rest of the nation; in 2010, it had the third-best vaccine compliance in the country, with just 21 percent of children aged 19 to 35 months lacking all recommended immunizations, according to data compiled by the Trust for America’s Health. The “other reasons” may be as simple as an objection -- a fact Suzanne Waltman, spokeswoman for Michigan Opposing Mandatory Vaccines, tells parents who want to enroll their children without getting all the recommended shots. Waltman follows alternative-health recommendations made by practitioners such as Dr. Joseph Mercola, a Chicago-area osteopath with a large Internet presence and product line. Her daughter, now 22, was vaccinated for polio, diphtheria and tetanus, but not measles, mumps or chickenpox. A later blood test revealed she’d had mumps, but her mother never knew, which she takes as an indication that the threat of these once-common diseases is overblown. They are not, says Dr. Marcus DeGraw, medical director of outpatient pediatrics at St. John Hospital in Detroit. But it is in the distant enough past that contemporary parents might think so. “Nowadays, we’re trying to convince people who are already locked into their opinions, and also don't have historical perspective on history of these diseases,” said DeGraw, who is a paid consultant for two pharmaceutical companies. “A child born in 1912 had a 1-in-5 chance of dying by its fifth birthday. Even my parents' generation knew someone who died of these diseases. To DeGraw, it’s very simple: If vaccination rates fall, more children will die. In his practice, though, more parents are opting out. While some pediatricians refuse to see patients whose parents refuse vaccinations entirely, DeGraw doesn’t. But he does offer his most powerful testimony. Once again the Republicans ignore or trash science in the name of their ideology. We need to adopt their idea of open market risk and let those parents who do not want to vaccinate their children assume the risks they take even if those risks are based on religion. What gives them the right to expose my children to disease? Why should they be able to translate their religious beliefs into real risks they force on my children and family? If my unvaccinated new born child comes down with a life threatening disease brought home from school and their unvaccinated children, shouldn't they bear the costs of their decision? All too often the people who tout personal freedom are all too willing to force the risks of their decision onto others. Anti-vaccine zealotry crosses party lines. Vermont's Democratic governor recently opposed a move to eliminate the philosophical exemption for vaccines. Democrats in Vermont's house killed the proposal. Republicans in South Dakota tried to add a philosophical exemption earlier this year. That motion was killed in committee. Republicans in Kansas are similarly trying to make it easier for parents to opt out of vaccinating their children. Gov. Snyder should seriously consider opposing those in his party that oppose vaccines. As Nancy's excellent story says, over 2/3 of parents have no problem with mandatory vaccination. Snyder could put together a coalition of Dems and GOP to call for the elimination of the philosophical exemption, and to continue making full immunization mandatory for health care workers. Anti-vaccine zealotry is a big tent movement. It attracts crunchy granola moms, alt health practitioners, anti-government Tea Partiers, anti-corporatists, conspiracy nuts, junk science advocates and others. These people defy parody. Taking a stand against such foolishness is a no-brainer. anti-vaccine mothers are not all crunchy granola. the fact is, there is risk. there is risk in any medicine. why should we put toxins into our child's body just becuase everyone else assumes it is okay. how about the parents who did this and now have a disabled child for life? oh but that is okay becuase they took one for the team right? no, it is not okay. vaccination is not a one size fits all regimen. not every body is the same these days. we have more and more toxins, which in turn are givne to our offspring. who is to say that one child is not already loaded up on toxins so one shot is fatal? people are caring for their children and deciding against more toxins injected into their children. this should be a right we have. i would not force any medical procedure on your children, so why do you think it is okay to do to everyone else? just becuase everyone says so? science is proving time and time again that the dosages they currently have on the schedule is too much and overloading the system. So if i am considered a crunchy granola mother who chooses to not inject toxins into my child, then so be it. we all just want the right to choose our medical procedures for our childrne, not have them forced down our throat. I could say the same about you. Since the outbreaks of whooping cough have been caused by the vaccine (different strain), would your vaccinated child then be responsible for my child getting sick? it goes both ways these days. the vaccines are creating newer strains of diseases and lowering the immune systems of each child as well. you open that door, then can i sue you for brining the flu into work and myself catching it? can i sue you for giving me a cold? its a slippery slope. Educate yourself a bit more before spewing stuff like this. This is complete nonsense. Vaccines to not create new variants of diseases; they expose the body's immune system to inert, genetic remnants of the diseases in order to stimulate an antibody response that mimics (and "remembers") the response it would mount if it were encountering a live virus. They do nothing to "lower the immune system," a claim that even the slightest knowledge of immunology and virology would have prevented you from making. Dear Howard, If vaccines work then you are protected. No problem. Right? The "herd mentality" is just a dumb idea thought up to get the herd to submit. If you really research vaccines, you will find that at best they work 30% of the time; at worst they kill some people. That's why I would rather take my chance with the disease rather than the shot. But don't worry about me, you're protected. Right? Susan, when you use the word research, I assume you mean "just making stuff up." If you can find a single peer-reviewed study asserting that *any* vaccine has 30 percent efficacy, I will eat the cat that's sleeping next to me as I type this. The unvaccinated children HAVE NOT been exposed to the disease. The vaccinated children HAVE been exposed by the vaccine and can actually infect an unvaccinated child through 'shedding'. So, if my unvaccinated child gets sick because yours exposed them to the disease then should you bear the cost? Hmmm...what possible risk could an unvaccinated child be to your vaccinated child? America's anti-vaccine movement meets in Chicago this week for its annual AutismOne conference. Saturday's keynote speaker is that paragon of science, Jenny McCarthy, who once boasted that she has "an angry mob" on her side. Mr. Andrew Wakefield, the disgraced UK gastroenterologist whose 1998 paper jump started today's anti-vaccine movement, will also be on hand. Strange bedfellows for Michigan Republicans. Please do not delete comments which simply disagree with the author. There is no reason to delete a comment which is in no way rude or offensive. If the views in the article are sound, then they can hold up to scrutiny, can they not? To even consider not mandating flu vaccinations for hospital workers is sheer madness. To allow people to not have vaccines such flu and tuberculosis in any patient care setting is lunacy. The people that go to hospitals, clinics and other health care settings are usually very sick not to mention pregnant women and children . They do not need to come into contact with health workers who could possibly be infected with communicable diseases. There are also many of us who have compromised immunity due to illness, chemo treatment or spleen removal. To have to go to a hospital and be cared for by a worker that has not been vaccinated against communicable diseases, could worsen our conditions and jeopardize our health. This proposed legislation has the potential to drive people away from hospitals for care if people cannot be guaranteed a safe environment in which to receive care. This is unconscionable to consider since our health care experts have spent the better part of the 20th century saving the lives of hundreds of thousands of people due to vaccines that prevent deadly diseases. Dear Nancy, You mention in your opening argument: They (vaccines) are among the triumphs of public-health medicine, preventing thousands of deaths every year — not to mention millions in lost sick time and other productivity. Can you prove this? No, you can't. (Sloppy journalism - you drank the cool aid) Nor can you prove any other unsubstantiated pro-vaccine nonsense. As a father of 5 (healthy) kids My wife and I are so glad we did the research (google: vaccines - adverse reactions and see what comes up.) We would never inject unknown (BS) substances into our loved ones. Not going to happen. All you fanatics who think my kids will make your kids sick need to take a deep breath and do your homework. Question: How many kids who have never been vaccinated have signs of Autism? Don't you think you should know??? Is it me or do a lot of these comments assume that vaccines make you immune to getting the disease/virus? The vaccine stimulates a response in our immune system to create memories of how to fight it off for the next time, right? It's making our individual immune system stronger but, not immune, right? Thank your for publishing this piece about HB 5605. Having seen people die from influenza changes one's perspective. In the 1960's during an influenza epidemic over 50% of the physician and nursing staff at a large VA hospital where I worked were ill and unable to function for up to a week. The main reason for the improved mortality rates in the USA in the 20th century relate to public health efforts and vaccination. The last sentence of HB 5605 is pure silliness about wearing masks as a substitute for vaccination. When one sees legislation such as this it clearly indicates the ignorance of it's sponsors. To quote Goethe: "There is nothing more frightening than ignorance in action." Yeah and cars can kill people but we still drive them. Just because you've seen people die from flu does not warrant injecting people with toxic cocktails that kill more people than the flu itself.